Get away from any of the stress in your life when you have an Arizona spa getaway. Come for a family weekend or a night with your loved one for an intimate experience. 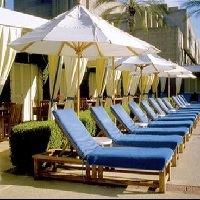 When you have a spa getaway in Arizona you will feel rejuvenated and relaxed. From traditional to the most innovative methods, select from the menu of Montelucia Resort & Spa’s Joya health spa treatments. They cater almost every service for your Spa needs. One of the most loved services by all the guests to experience is the hammam circuit during their trip to Montelucia Resort & Spa Joya Spa. The Hammam Experience ($45) can be added to any kind of the treatment you will avail. Delight in a brisk scrub using traditional Herbal Black Soap applied with a Kassa cloth. Follow with steam, whirlpool, sauna, cold deluge and a lounge in the exclusive warming room. 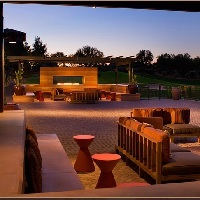 You will never forget your experience at this spa getaway in Scottsdale, Arizona, for more info visit their website now. 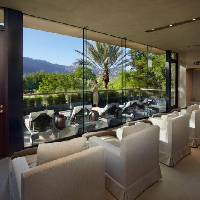 The brand new Miraval Life in Balance Spa with Clarins was designed with the utmost respect and appreciation for the natural splendor of the Sonoran desert. The new menu of services was created to offer their valued guests the most innovative, life-enhancing treatments in the world. The hired therapists have studied in all corners of the globe and their expertise shines through the vast array of spa treatments that are unique to Miraval. Restore your inner balance and experience gentle treatment at the Miraval Resorts And Spa in Arizona. Aji, meaning "Sanctuary" in the Pima language is appropriately named after the nearby Aji Mountain located on the Gila River Indian Community where women and children would go in times of war. Aji Mountain is still one of the Community's most sacred treasures and fittingly, Aji Spa is where sacred Pima and Maricopa traditions are practiced and shared. Offering the only authentic Native American spa menu in existence, the Indigenous Collection features treatments and activities designed and practiced by Aji's Pima and Maricopa Cultural Caretakers. The ancient Pima and Maricopa cultures are also showcased throughout the spa in design elements, artwork, architecture and shared legends. Enjoy a unique spa getaway in Arizona right here! 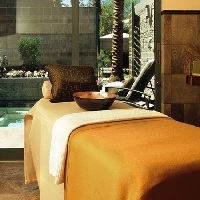 Experience the intimate retreat of Sanctuary's Scottsdale resort spa, one of the top destination spas in the Arizona. The luxury spa offers a menu of Asian–inspired services in twelve indoor & outdoor treatment rooms. Enhanced by distinctive architecture and a breath taking setting, their relaxing zen meditation garden, tranquil reflecting pond, and Watsu pool provide a relaxing Arizona spa getaway. Luxury spa services and classes in Sanctuary's state-of-the-art fitness center and movement studio include Pilates, meditation, Yoga, fitness & nutrition consultations, and more. In tribute to the spa resort's history, Sanctuary also features five championship tennis courts. unique Bio-Intrinsic extraction method that captures the life force of the plants, enhancing their potency, based on natural, plant-derived ingredients, hypo-allergenic and pH balanced, no animal products, and none that have been tested on animals, biodegradable and environmentally friendly, private adjoining baths for all treatment rooms and spa Boutique, offering Jurlique skin and body care products, retail items and rare gifts. This is a wonderful location for a spa getaway in AZ. The Arizona Biltmore Spa has a dedication to the art of wellness. The award-winning Arizona Biltmore Spa is a calming destination that will awaken your spirits and invigorate your senses. Discovering the powers of natural ingredients and creating spa treatments that unlock their benefits is the special niche of the Arizona Biltmore Spa. Guests who are conscious and concerned about both the environment and what they put on their bodies, are delighted by Arizona Biltmore Spa’s green experience. With natural and organic products and practices, these signature spa treatments are excellent for guests and the environment. This spa in Arizona is chemical-free, organic products work with the body and are eco-friendly to address guests’ physical, mental and spiritual health. Enjoy a nice spa getaway here in AZ. Whether this is a first-time spa experience or you are an enthusiast, Alvadora Spa of The Royal Palms Resort and Spa provides an array of services that indulge the senses. Discover unique signature treatments including the Royal Body Polish, Orange Blossom Body Buff, Citrus Grove Facial and more. Acqua Dolce, our signature Villa for two, provides several water therapies including a Watsu pool for special in-water massages. Experience the romantic, nurturing essences of the Mediterranean offered in tempting choices that soothe the spirit, rejuvenate the body and enrich the mind. Where sophistication and elegance meld with Old World charm, Alvadora Spa at Royal Palms. Enhance your well-being, relax and have fun at your Royal Palms Resort and Spa getaway in Arizona . A heavenly retreat designed to rejuvenate the mind, body and spirit, Agave, The Arizona Spa utilizes traditional native treatments handed down from Arizona’s many cultures of healing. The full-service spa of the Westin Kierland Resort and Spa showcases rare treatments infused with the essence of the Far East. Serving as the spa's main inspiration, the indigenous Agave plant is used in many of the treatments offered, providing guests with the benefits of its moisture-rich qualities. Customers coming from different countries around the world have been very satisfied with the way they serve. Visit them now for a wonderful experience you will never forget when embark on this Arizona spa getaway. At A Bit Of Bliss Day Spa, the Massage Therapists, Hair Stylists, Nail Techs, and Aestheticians have a minimum of 5 years’ experience. This Spa in Apache Junction is dedicated to quality, and use only the finest ingredients in their treatments, and bring only the greatest of people into their tightly knit staff. Come and visit the A Bit of Bliss Day Spa and the delightful staff will make you feel welcome. It's time for you to relax, unwind, and most importantly, feel pampered. After all, you deserve it. Everyone at A Bit Of Bliss Day Spa will make your AZ spa getaway, or Apache Junction / Gold Canyon residence, the most wonderful it can be. They will pamper the whole person, mind, body and spirit. A New U Day Spa & Salon has been greatly appreciated by the customers experiencing their services. This spa in Chandler city has been catering great spa service and packages to the customers who are visiting their Day Spa & Salon. This spa in Arizona offers a variety of spa packages namely Mini Day which includes a massage, facial and Pedicure, this is available for only $80. Another package is the Retreat Package which includes a Swedish massage, a microderm and a Spa pedicure you can get this service for only $170. There is also a package called Revitalize for only $215, this will include a massage, facial, spa manicure and spa pedicure and a body wrap. There are a lot more packages in this day spa and salon in Arizona making it the perfect location for spa getaways. For more information just visit their website. 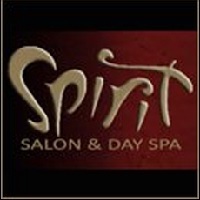 Spirit Salon And Day Spa takes great pride in offering the latest trends in hair and skin treatments while carrying top product lines. This spa in Arizona considers each client an individual with his or her own needs and desires. They strive to fulfill those needs and desires with the best talent available. They are an education oriented salon striving to deliver cutting edge services that will surpass their clients expectations. Experience dedicated professionalism with their talented artists. Your appearance is their highest priority. Schedule your next appointment for a spa getaway in AZ and you will find true satisfaction with any of the variety of services they offer. Come in and check their remodeled pedicure room with state of the art Clean Jet pedicure bowls with disposable liners. You can be assured of a safe, clean and relaxing pedicure. Increase your energy. Feel more revitalized. Reveal radiant, healthy skin. You'll feel and look better, plus, with more regular sessions you can improve your overall health. Mesa Massage Envy Spa has professional massage therapists that can help to relieve tense muscles for deep, lasting relief. And their experienced aestheticians can help improve your skin texture, tone and appearance with one of four Murad Healthy Skin facials. So take the first step toward a healthier lifestyle today with a spa getaway in AZ at Massage Envy Spa. When you make regular massage therapy part of your life, you do a lot to help your health. Not only does massage therapy make you feel great by relaxing tired and sore muscles and relieving stress, but it also improves circulation, lowers your blood pressure and helps improve flexibility. At The Karma Day Spa, they are devoted to personal well-being. This spa in Arizona provides a warm, relaxing and peaceful environment where your daily worries and stresses melt away. Their commitment is to maximize wellness by nurturing your mind, body and spirit. Your essential escape begins as you enter the spa boutique to the sound of their relaxing waterfall and your senses let you connect with nature. Take a deep breath, and leave the outside world behind as you start your treatment to replenish your body’s natural balance. This Day Spa is designed to cater to their guests "needs" while providing a "total experience" with excellent customer service. Because they want your experience to be memorable, their extensive menu of individual services and packages will entice you to try something new each visit. They invite you and your friends to unwind, relax, and enjoy their facility. This salon and spa in Arizona’s technical team's performance is measured by experience, expertise, and education. 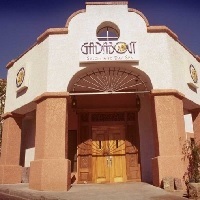 Gadabout is now promoting their creative staff through a level system. Prices will vary by technician depending on their promotion. They are continually searching for and developing state of the art techniques and services for you and your lifestyle. Have a nice spa getaway in Arizona when you visit here! Cloud 9 Salon and Spa is a full service salon and day spa located in Tempe, AZ. They offer all the services you’ll find at a resort spa at a surprisingly affordable price. The staff offers the highest quality haircuts and color, massage, facials waxing and nails services in the Phoenix metro area. This new Tempe salon and spa facilities are located at 8707 S. Priest Dr. and are designed to provide quality treatment in a relaxing atmosphere. At Cloud 9, nurturing treatments and services are designed with a focus on wellness. If you’ve got a special event, look no further than Cloud 9’s stylists to provide you with up-do’s, styles or color and hair cut services for your special event. This spa in Arizona is perfect for parties looking to celebrate bridal showers, baby showers, and bachelorette or birthday parties with you even for a spa getaway! Plush is a full service Salon and Spa located in Mesa, Arizona. This spa in AZ is a one stop shop for all your beauty needs! They offer expert hair and skin care, as well as relaxing and rejuvenating spa services. Please take a moment to browse their website for further details. If you have any questions, feel free to give the Plush Salon and Spa a call. They have a very friendly and knowledgeable staff that is happy to assist you. Visit the website now and enjoy and relax at their beautiful place. Book you Arizona spa getaway now! The Healing Salon and Spa has been very committed to delivering customer satisfaction for decades now. 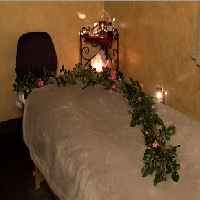 This spa in Arizona has been very keen in providing quality and satisfying service to the clients. This spa has been the most affordable spa in town with the best experience to offer to you. There is a variety of services offered at this spa in Arizona and you very much welcome to come and enjoy them. There is the Swedish Massage, the LaStone Hot Rock Massage, the Brush and Glow massage, the Peppermint Sea Twist Wrap, and a lot more services that you will definitely enjoy at a very reasonable price. For more information and to book your AZ spa getaway visit their website now. Weary and worn out with the traditional spa? Are you tired of dishing out your hard earned dough on overpriced services and stuffy staff? Well, worry no more because Fuchsia Spa believes that a spa should be distinct, fresh and fun! As original and unashamed as the women this spa in Arizona cater to! Check-in and kick back while catching up on your favorite chick flicks on their flat screen TV. Relish and rest in their fuchsia and chocolate colored treatment rooms. 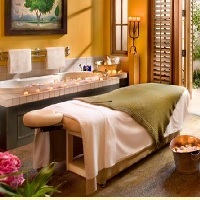 Revel in this spa getaway in AZ with custom facials and massages and reap the benefits of diva like beauty! Sashay into Fuchsia and let them do what they do best! When you have a spa getaway at the Spa Avania in AZ you will be awaken in the morning, rejuvenate in the middle of the day and unwind at the end of the day. It will be your body's fundamental every day journey towards balance. It is the foundation of everything you do at the Spa Avania in Arizona. At this spa in Arizona you can relax and unload all the stress you are feeling and enjoy every minute of life. At the Spa Avania they have a lot of personalized treatment offer just for you. They are the first Scottsdale Spa resort that is very keen in every detail of their service in order to choreograph to the science of time. To know more about the Spa Avania check their website and see what you are missing. Spa du Soleil is the perfect place for you to relax and rejuvenate yourself. If you have been stressed out in your everyday life or work then this Arizona spa getaway will be the best escape from all the stress you feel. A very relaxing and rejuvenating experience awaits you at the Spa du Soleil in Arizona. You can avail lots of services they offer, like a relaxing luxurious soak or a massage in their outdoor tropical oasis. 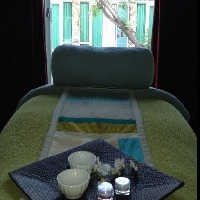 You can also enjoy a peaceful ambiance after your facial, massage and spa in their beautiful Garden Terrace. So what are waiting for? Grab your chance and visit them now!